The more things change, the more they stay the same, or so the old saying goes. 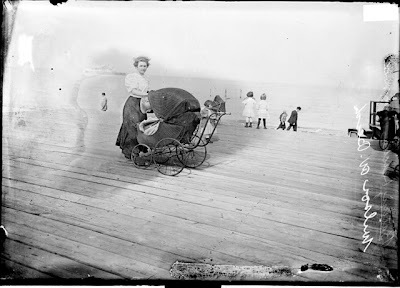 I enjoy looking at old photos like this, where people styles may have changed, but people are doing the same things they still do today...go to the beach, walk their babies, have a picnic. I'm sure that a hundred years from now, people will still be gathering at Uptown's shoreline to socialize and enjoy a fine summer's day.